Today Lisa and I along with Rabelo reached another milestone. We managed to enter, tie-up, and then exit a lock without any help from Wilco. I steered and took care of the stern line while Lisa handled the bow line. Rabelo was a good girl and did precisely what I told her to do. At 127 feet and 150 tons our big baby is a lot of boat for two people to handle, and we did it with ease. Every time I drive her I learn something and become more confident. When it was time to leave this morning I backed Rabelo down a narrow channel for almost 250 yards before turning her around. At one time I thought it was impossible to back a barge up without a bow thruster. 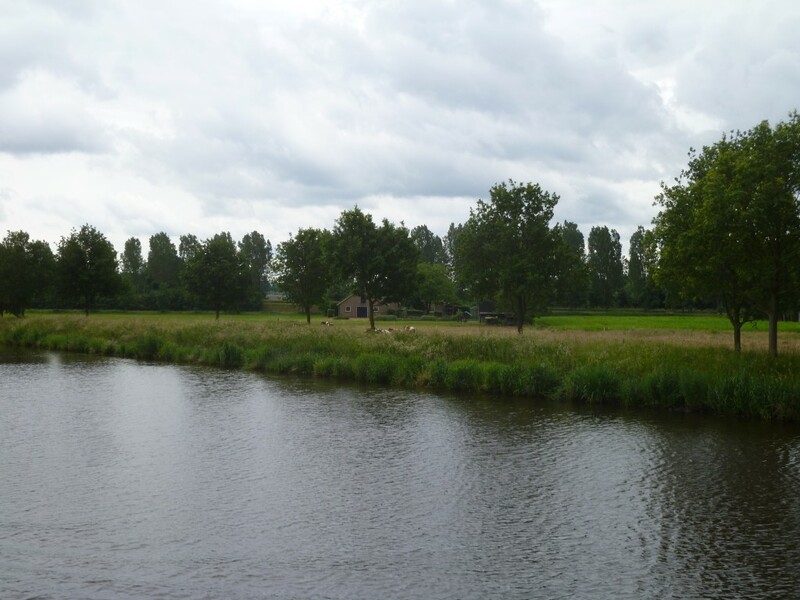 This past weekend we were moored about 3 kilometers outside of Helmond. We took our bikes out of storage and after almost ten years jumped back on and took off for town. Other than a few sore muscles it felt great. Helmond had a huge Farmers Markets going on when we arrived. Everything imaginable was for sale from clothing and bed sheets to fresh vegetables, fish, poultry and red meat. For lunch we found a little café called Zien where we had a really great hamburger without fries. The waitress thought there might be something wrong with us. Sunday was cleaning day, so we got out the vacuum, rags and mops and spent almost two hours massaging our baby. She sure looked good when we were done. Lisa then prepared a wonderful lunch using some of the chili she had made earlier in the week. We washed it all down with La Trappe beer. Oh yum! After lunch we jumped on the bikes and headed back to town. 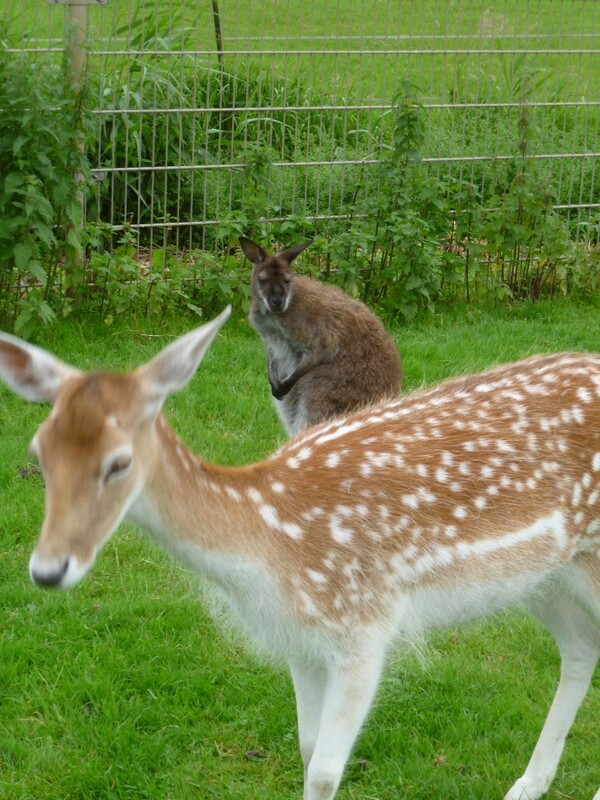 Some of the sights we saw riding our bikes to Helmond. I think the little guy in the back took a wrong turn someplace. 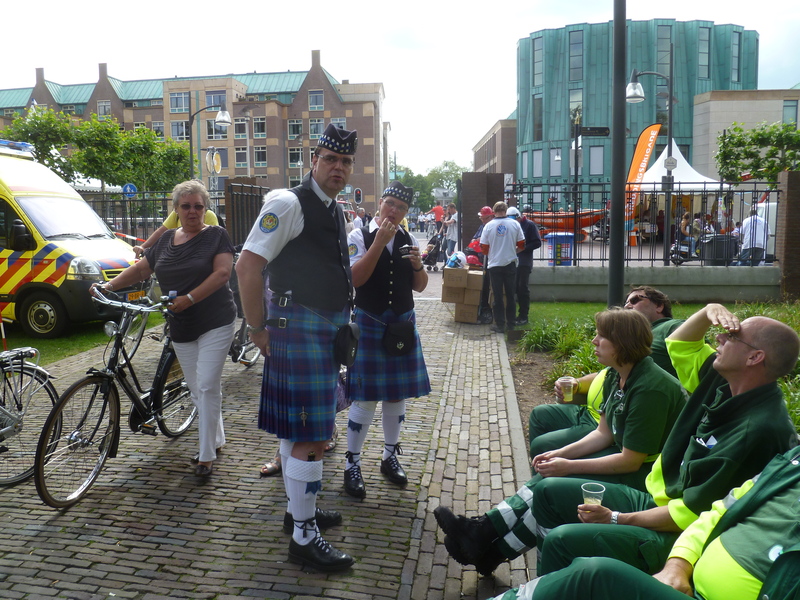 I’m not sure what you would call it, but Helmond had a special event going on. 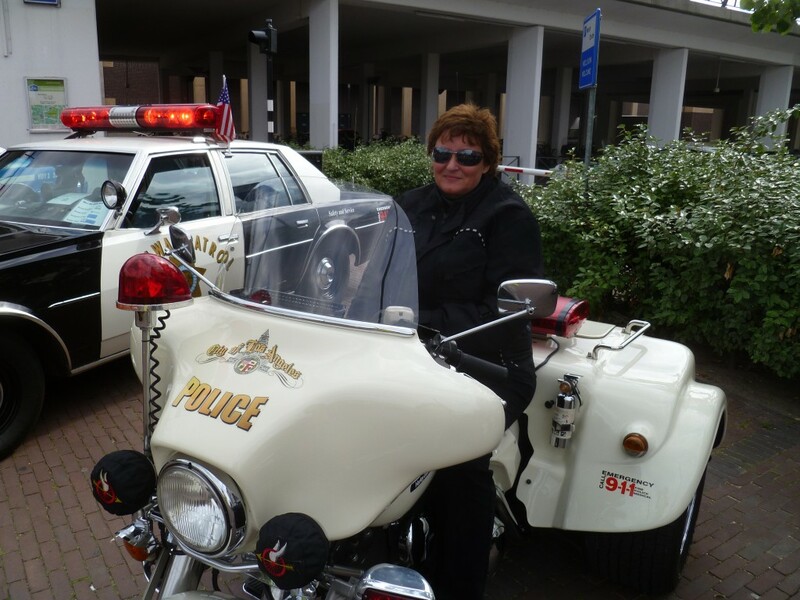 Their police, fire, rescue and the military had brought their equipment to town to show how it was used. 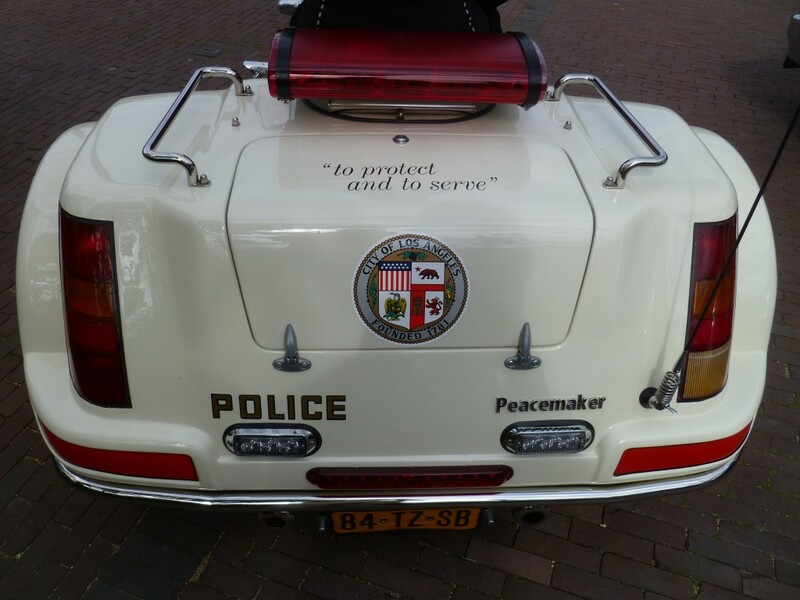 There was even a collection of restored police cars and motorcycles from the states. 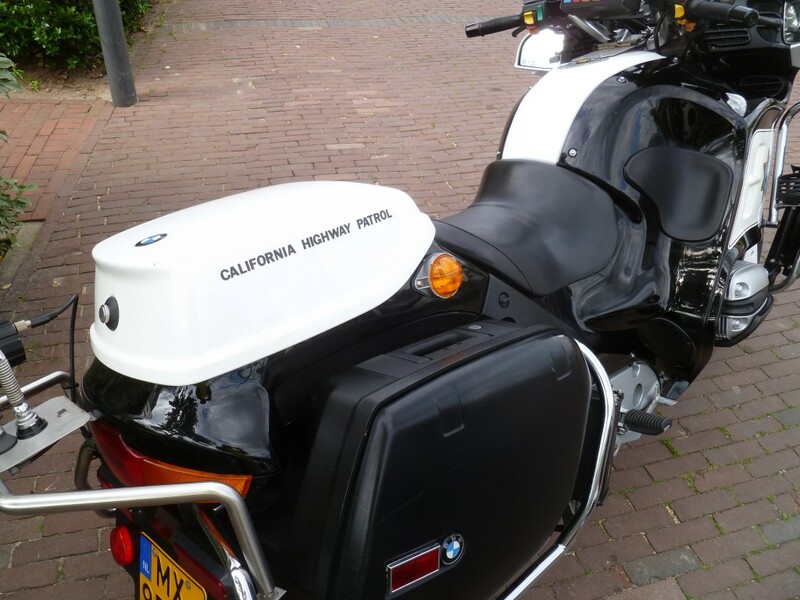 What a surprise to see a California Highway Patrol cruiser in Holland or a Los Angels Police Department (LAPD) motorcycle. 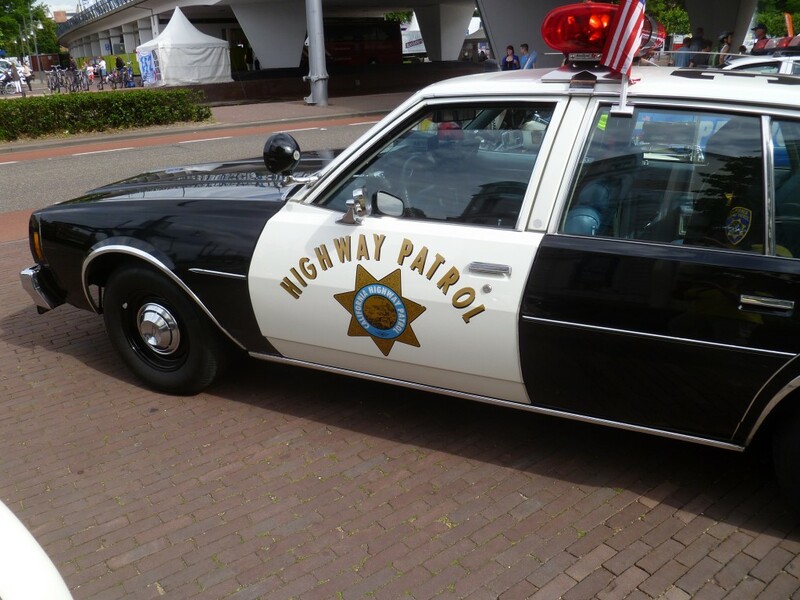 The guy that owned the collection was dressed as a New York City cop, and had the car to go with it. 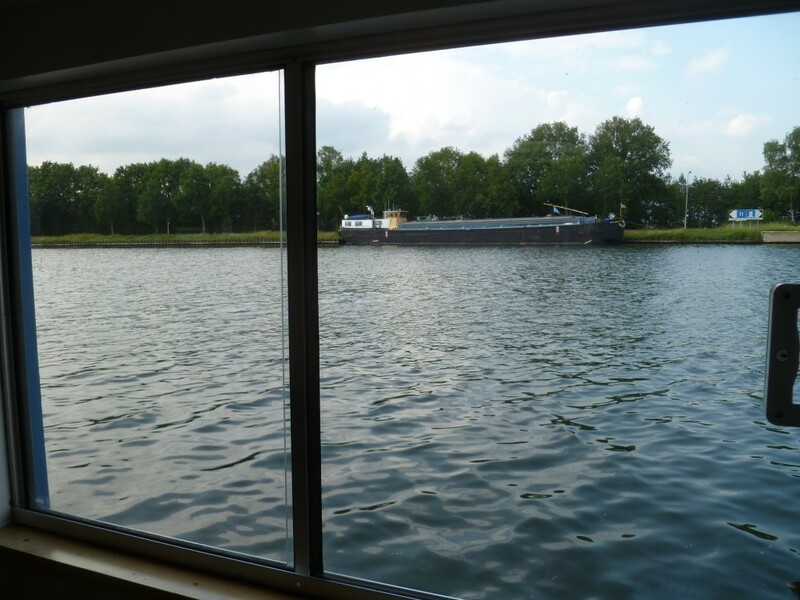 It is these types of events that we get to experience on a regular basis that we bought a barge. I can’t get away from these guys no matter where I go. It is so easy for us to stop at all these small towns that a typical tourist would never think to visit. She wanted to give me a parking ticket until I explained that she wasn’t in L.A. anymore. 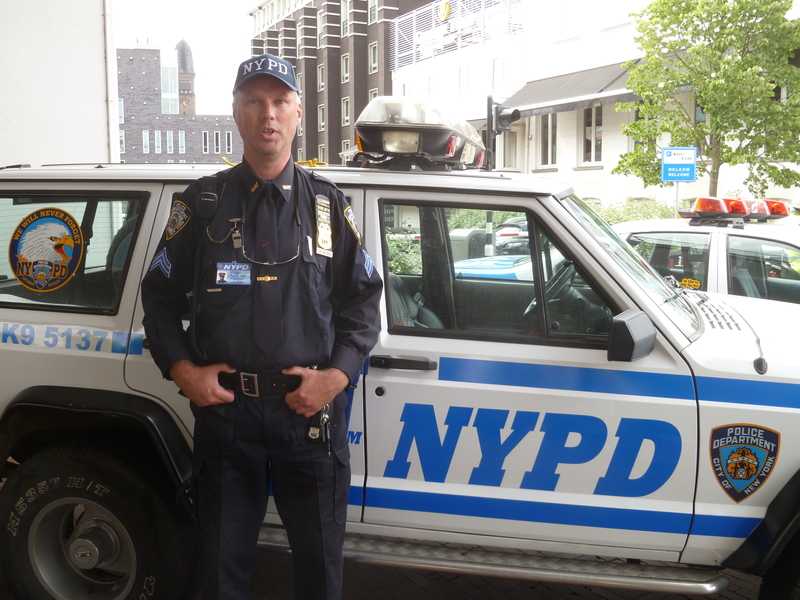 NYPD’s finest in The Netherlands. It was a very confusing day in Helmond. Sunday night we found this incredible Italian restaurant, Ristorante Sicilia where we had pizza, carpaccio and ravioli. It was not a good day for losing weight, but it sure tasted good.